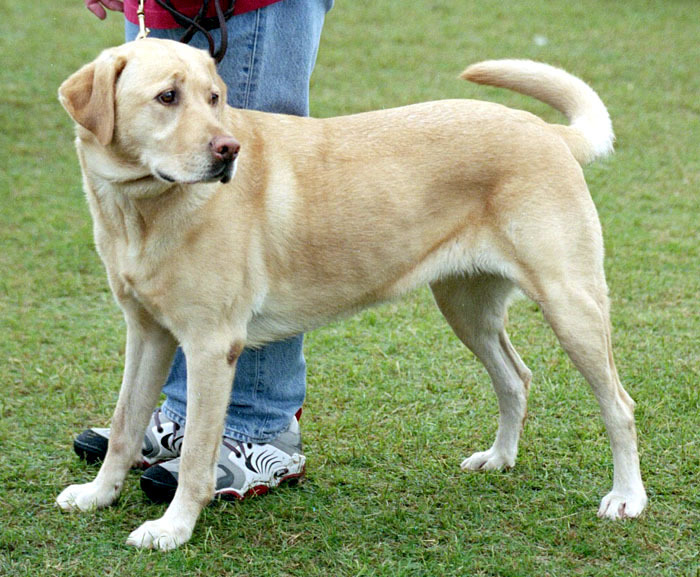 A yellow labrador retriver dog with pink nose. Photo taken by en:User:Elf October 2004 in Turlock, California at the Nunes Agility Field. Originally uploaded to the English wikipedia.